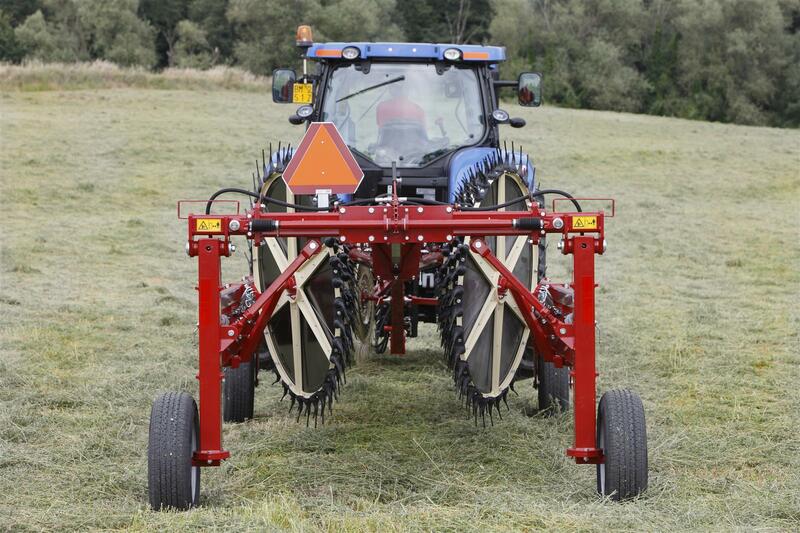 SITREX MKE-PRO series trailing wheel rakes are the best choice for the raking of hay. 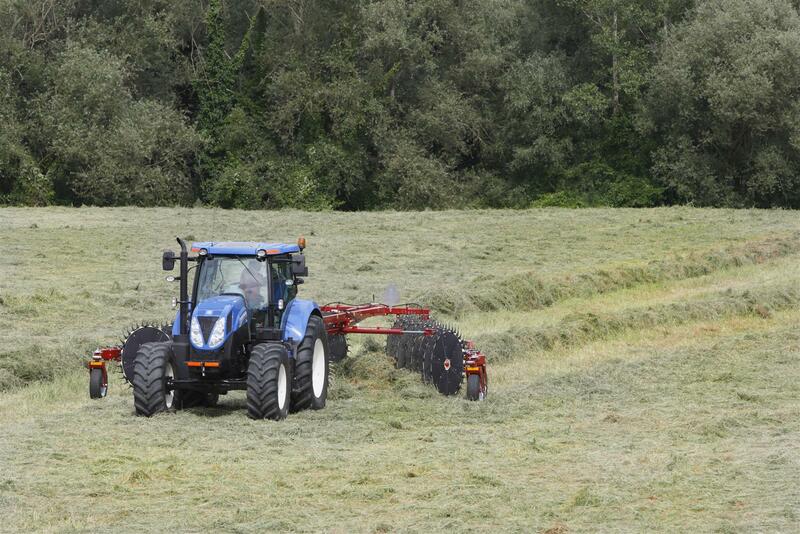 Their construction is designed for high-speed operation on any type of field and with any type of hay, always ensuring an excellent haymaking quality. The range includes six models with raking widths from 21’ to 37’ meeting the requirements of enterprises of any size. When all hay has been collected, the machine can be closed rapidly to the driving position, thus minimizing operation times. The whole frame is composed of thick, heavy-gauge tubing, including wheel supports, which decreases working costs and enhances machine durability. 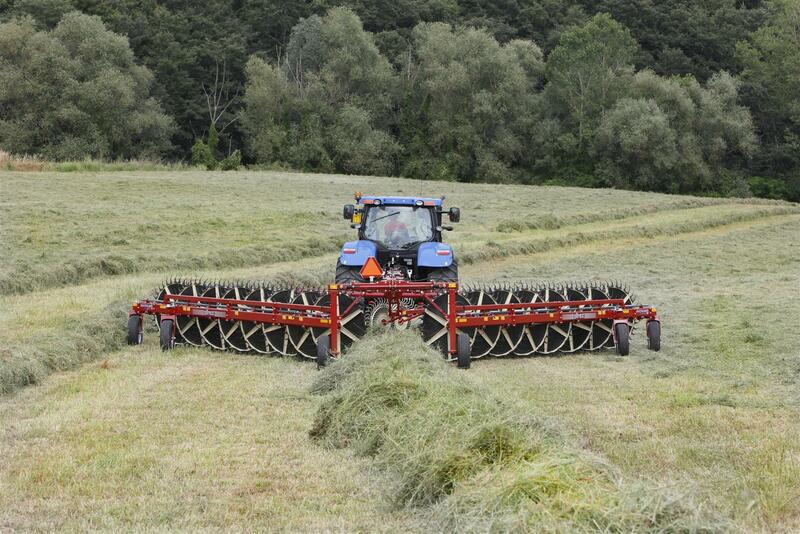 To produce uniform, well-structured windrows it is necessary to adjust their width as a function of the type of hay, field and ranking conditions. 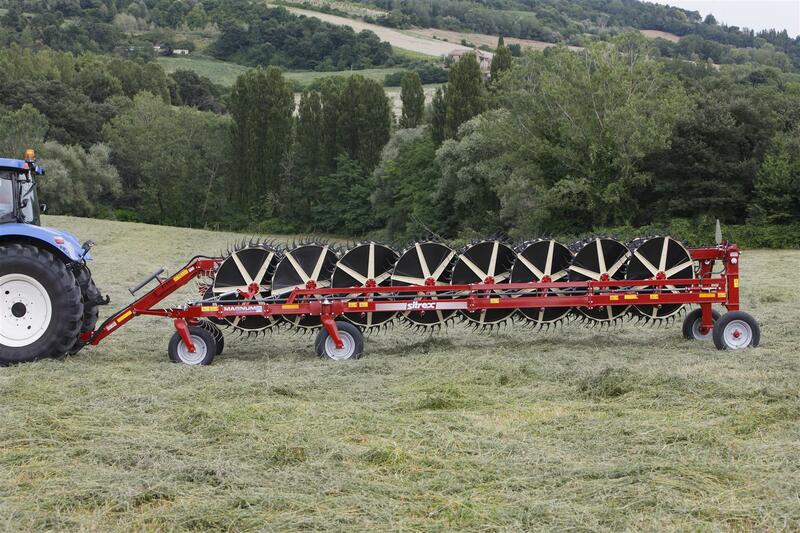 For this reason a quick device is needed, able to form windrows ranging from 3’ to 6’ in width. This operation is carried out easily by a ratchet lever provided as standard equipment and installed on the back frame. Moreover a hydraulic windrow width adjustment kit can be installed optionally to regulate the windrow width easily from the comfort of the tractor seat. Raking wheels float independently from one another. Therefore each one moves following the ground contours for cleaner raking compared to raking wheels mounted in tandem. Each wheel is suspended on a spring and can be adjusted individually for optimum ground contact pressure (left). Once adjusted, a single pin adjusts the working height of all the raking wheels on that side of the rake (right). 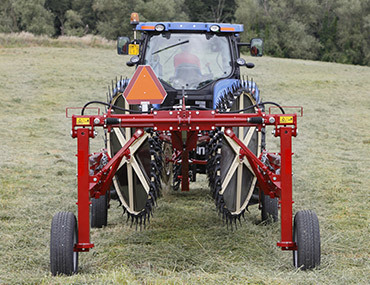 All MKE-PRO rakes feature 60” raking wheels with 18 double tines (36 tines) of diam. 0.276”. The wheel frame is extremely stiff for a perfect collection of wet, green, heavy and voluminous hay. Windbreaks are standard on all models for an easy and quick formation of smooth, uniform windrows. Finger Wheel Diameter 1525m - 60"
Finger Wheel Tine Diameter 7mm - 0,0275"
Maximum Working Width 6,5m - 21'4"
Overall Transport Width 2,55m - 8'4"
Overall Length-Transport 7,575m - 24'10"
Maximum Working Width 8,7m - 28'6"
Overall Length-Transport 9,955m - 32'8"
Maximum Working Width 10,5m - 34'5"
Overall Length-Transport 11,65m - 38'3"
Maximum Working Width 11,4m - 37'5"